When your car needs service or maintenance, our service department is ready to take care of you-whether it’s a bulb change or a major repair, our Mercedes-Benz Certified Technicians can get you back on the road and give you peace of mind. Prefer to do it yourself? Our parts department will find the parts you need. 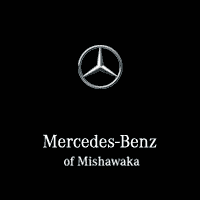 Visit us at Mercedes-Benz of Mishawaka, 4004 North Grape Road Mishawaka, IN. 46545, serving the automotive needs Mishawaka, South Bend, Granger, Elkhart, and Niles (MI). See for yourself the pride we take in our company, but mostly the pride we take in our customers.